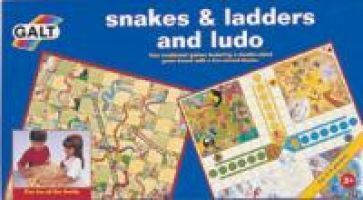 A convenient 2-in-1 package of classic games - Snakes & Ladders on one side, and Ludo on the other. You can play with 2-4 players, or form teams if you have even more - a great way to foster teamwork and togetherness. Schedule a family game night for tonight and have fun - play Snakes & Ladders first, then just flip the board over for a great game of Ludo!